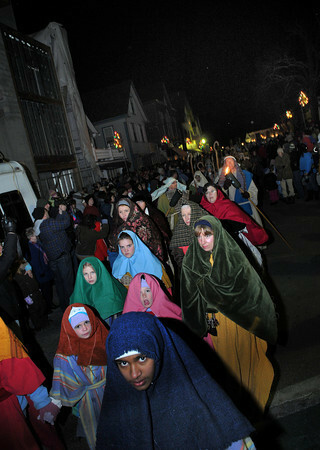 Rockport: Performers walk down Main St to the the 1st Congreational Church were they reenact the birth of Christ, for the 64th Annual Christmas Nativity Pageant held Saturday night. Desi Smith Photo/Gloucester Daily Times. December 19,2009.